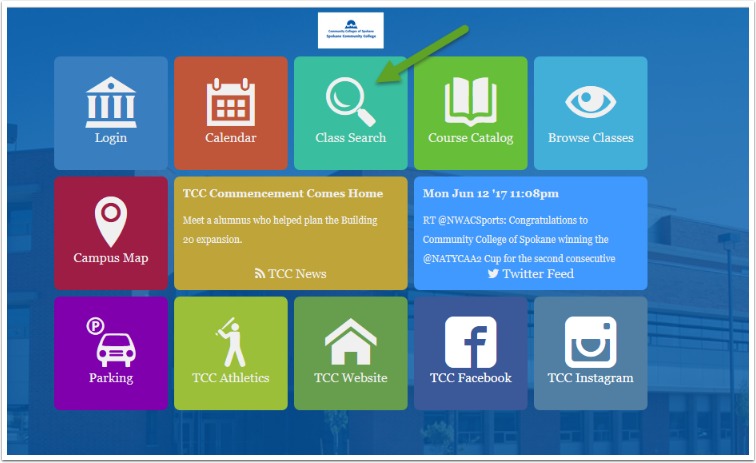 Purpose: Use this document as a reference for searching for classes, browsing classes and the course catalog on a mobile device in ctcLink. 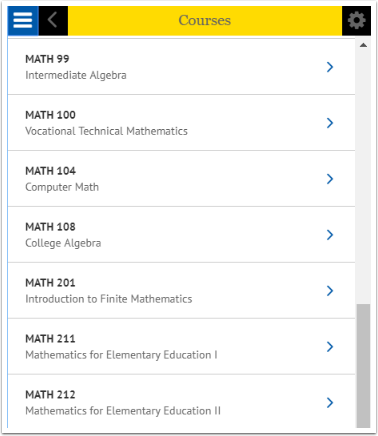 Go to your institutions mobile site. 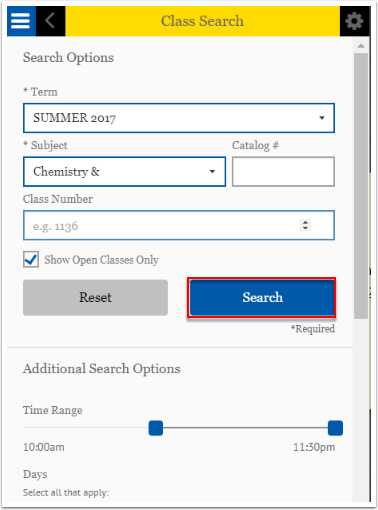 Click on the Class Search tile. 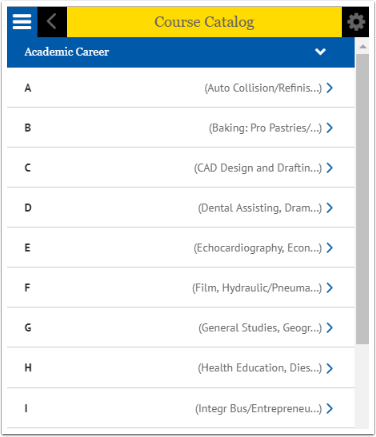 Enter search criteria then click the Search button. 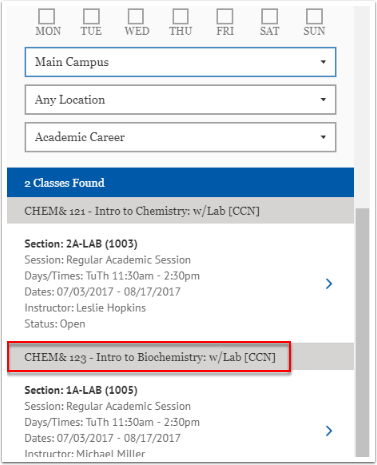 Select the class to see details. 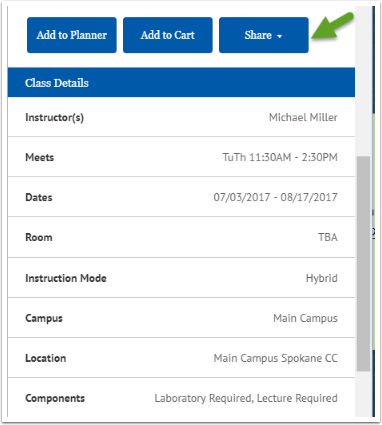 You can add the class to your planner, shopping cart or share it on social media or email. 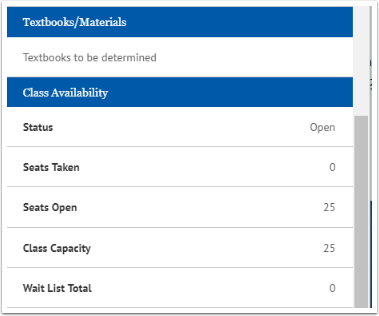 View textbook information and availability details. On your institutions mobile app springboard, click on the Browse Classes tile. 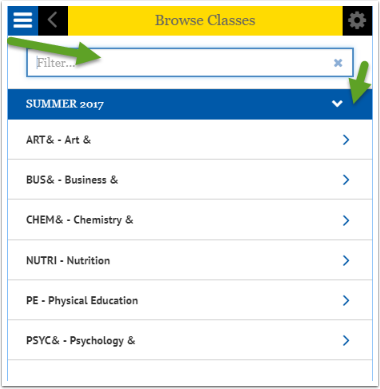 Choose term and browse for class by clicking the alphabetical list or type a course in the filter box. 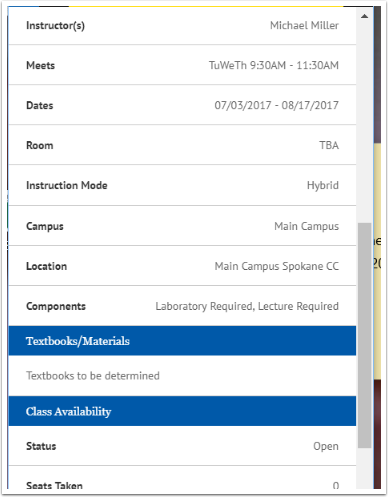 View textbook and availability information. 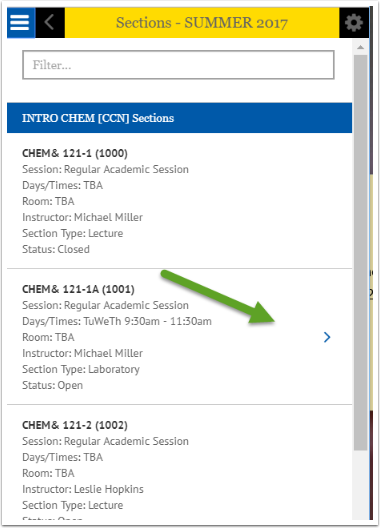 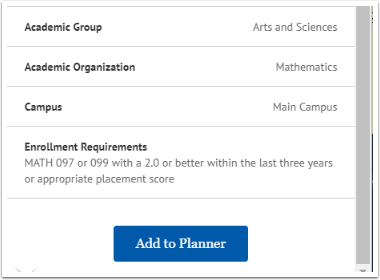 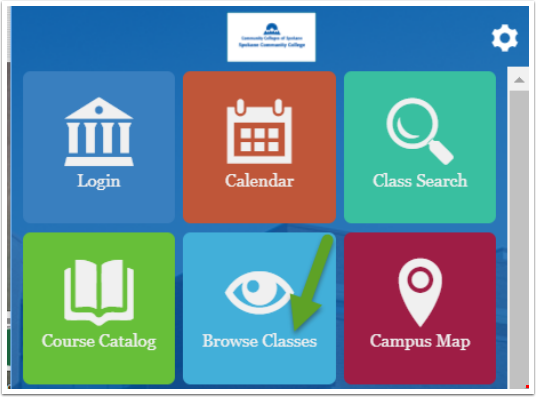 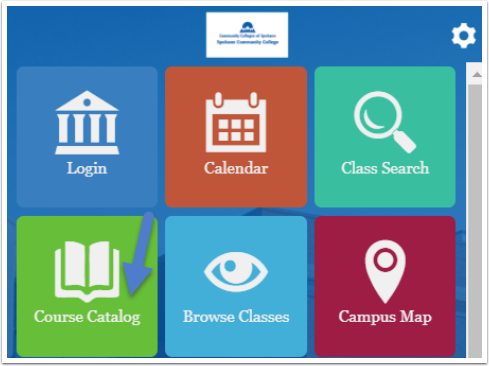 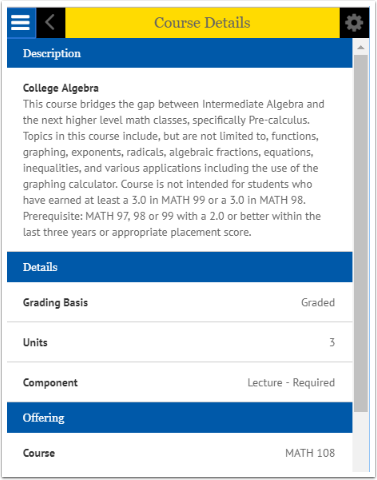 On your institutions mobile app springboard, click on Course Catalog tile. 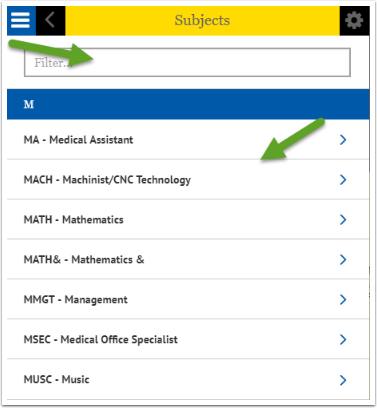 Use the filter box to type the name of the class you are looking for or navigate to it by Subject. 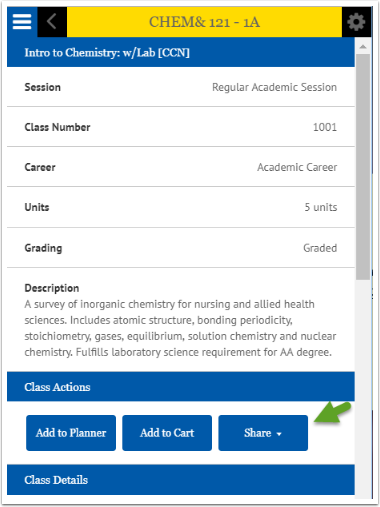 Select the class to see details..
You can add the class to your planner, share it on social media or email and view deadlines depending on which class you choose.